Comments Off on Asingan now a Smart LTE site. This morning staff of Smart Communication Company paid a courtesy call to Mayor Heidee Chua. They discussed LTE services which are now available in Asingan. 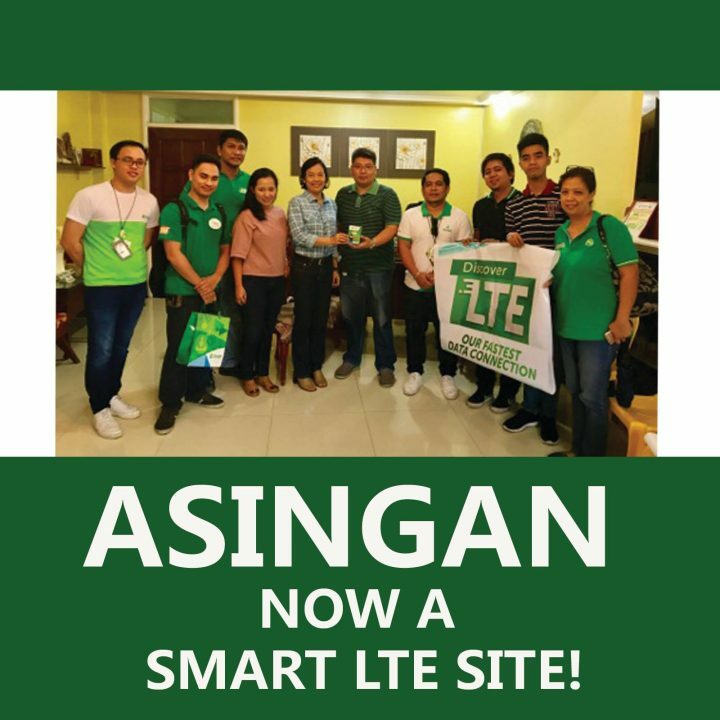 WIRELESS services provider Smart Communications has completed the rollout of its LTE (fourth generation or 4G) network in Asingan, allowing Smart subscribers to enjoy greater mobile data transfer speeds. To fully enjoy the LTE network of Smart, subscribers have to make sure they have an LTE-ready SIM card and an LTE-capable device.